Deutsch Wertarbeit is a forgotten jewel of German electronic music. 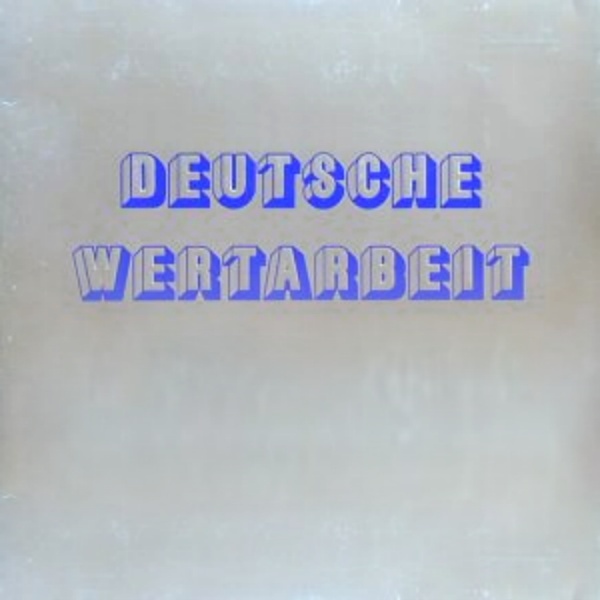 Released in 1981, Deutsch Wertarbeit was the working pseudonym for a one-off project by Dorothea Raukes, the keyboard/synth player for Streetmark. Dorothea composed and played the entire album on Korg equipment through a sponsorship deal she had with the company, which led it to being a purely electronic album. This album also bears a strong resemblance to former bandmate Wolfgang Reichmann who released a similar album in 1978. Dorothea’s music has an emphasis on rhythm and catchy tunes, except for the closing track “Der Große Atem.” Each of the six compositions pays homage to what her contemporaries were recording. The opening track “Guten Abend, Leute,” is a happy and bubbly pulsating piece with catchy riffs and a definite Kraftwerk vibe. The second, “Deutscher Wald,” features a pulsating bass sequence similar to Michael Rother. Then she moves to France and Jean Michel Jarre for “Unter Tage.” The fourth, “Auf Engelsflügeln,” is pure Tangerine Dream and the title sounds exactly like one Froese would select. “Intercity Rheingold” is another motorik song with relentlessly pulsating sequencers that make you feel like you are moving downstream from Köln to Düsseldorf propelled by the swift Rhein current. The closing track seems out of place for a couple of reasons. The first five tracks are in the five – six minute range, while this last track clocks in at ten. And secondly, gone are the driving sequencers and catchy tunes. “Der Große Atem” is an amorphous experimental composition that is akin to Klaus Schulze’s ground-breaking debut album Irrlicht. Kudos to Bureau B for rescuing this album from obscurity.